I was talking to teachers both local and clinicians at one of the last Suzuki Events I attended and asked them how they were getting their parents active in their local Suzuki Associations. The teacher trainers that I spoke to indicated that they had very week or non existant associations in their region. I also appreciate that these are still very new organizations in the life of the Suzuki Movement in America. How ever I do know that there are some stronger and old ones out there. Could any of you tell us when you have your meetings and how you invite parents to participate. How much of a leadership roll do parents play in your association and what tasks do they usually perform. i.e. would you be able to get parents to your meeting if you held them on a week day morning when most teachers are not teaching after school? How do you manage this scheduling problem between parents and teachers? I would really like to hear from Suzuki members from all over the country. My point is, I would rather my families took what little time they have and practice. Anyway, I know these can be very good things in some instances, but I think we as teachers need to be very careful what we expect of our families. This is not to say that there is the occasional parent who has the time-resources to do a lot; we just have to be realistic on the percentage of parents who can. In the affluent community where I teach, parents have a lot of talent and resources. Yes they are busy. This is the type A personality capital of the western world. They managed to rasie enough money to keep an award winning music progam in their school system. We do have many non-profit organizations in O.C. often run by people who happen to be parents. These organizations manage to raise thousands of dollars for their causes. I am sure some of their members might be Suzuki parents. How do we attract that kind of commitment to a Suzuki Music program or Association? Parents, its your turn. Any ideas. Comments. Suggestions. What are the benefits of an association? Why do you need an association? What do you do? What is it for? How much time do you spend on it? Does it really help matters? Thanks for your input. we are fortunate enough to enjoy a vibrant arts community. volunteer parents. I think they would burn out very quickly. and then we recruit them! held, which I’m very sorry to hear about. whole, and would be most tempted to have situations ideally suited for my own child’s particular circumstance. 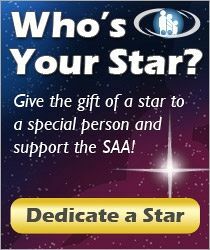 resources of the organization are being used in a manner consistant with our mission. when I read your post, I could easily see it being written by these said parents. relate our then wonderful local association to the other trainees. too am a Suzuki parent.) As I tried to point, checks and balances are inherent in the music teaching business. equitable. I think this fact is the “checks and balances” in all studios. post—”profit center/power grab”) of teachers out there! and, meaning well, grossly undercharge for their services. are truly representing both sides. benefited their own child personally. happy or whatever, aren’t at least tempted to bend that rule? fundraising and the nuts and bolts aspect of running these events. unprofessional way of doing things. Just because a person is paid does not meen they behave professionally. sounded like in your post—”profit center/power grab”) of teachers out there! understanding of the financial situation. exists for its own benefit and glory. the local association for their own studio. certainly can be mistaken, though, so please accept my apologies. teachers on a regular basis. lessons. I guess I don’t see how that could be construed as financially benefitting an individual teacher. paid, but in this instance the check is cut from the association and not the actual family. experience can affect how one sees something! come out. Older kids babysit and sometimes do violin games. corporations)…who will be deciding which teacher gets the scholarship student and their associated funding? place that you describe as having had a long-running association. simple rotation system would work. Teacher A gets one, then Teacher B, on down the road until it comes back to A.
decision in this kind of process is deciding who gets the scholarship in the first place! I really openned up a can of worms didn’t I. My appologies to the National Office if this made you all nervous. In the mean time I hope the brave openness was instructive and infused some insight. really feel stretched to my limits if I had to wear both of those hats. people in the Suzuki Movement at the national level. who have taken advantage of these kinds of resources? learn from what you are doing. loosing the resources we had before? still respect each others interest? cultural and including families from a variety of ecconomic experience? needs and effectiveness as teachers so they do not experience burn out. how do your keep them in effective communication with each other? Inviting parents to a pot luck so they can get to know each other is a great idea. scholarship money on families who started in lessons already but have fallen into hard times? income, or (b) having to let the child go in order to make room for someone who can pay. and determine if the need is genuine. applied to those funds; In order to keep them out of litigation later. working probono that I could check in with on occasion. taxes on all the teachers that they employed for workshops and institutes. to see that they are set up to be judged or determed by a remote committee that everyone perceives as objective. educational non-profit may be helpful. distance should no longer be an excuse not to get advice. there will always be these imbalances of influence and funding. that happens animosity and misunderstandings follow. institution or an educational business much of your operations require bylaws and documentation of your practices. through how you are going to carry out your organizational mission. 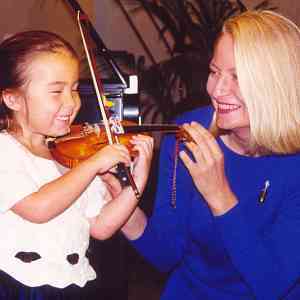 do in the Suzuki Method? also want to know what is required of a particular role. and plan how they wanted a recital to be held, scheduled etc. when they can not get to gether physically Does anyone have any suggestions on this? parents insentive to get together? How often do you actually meet? responsibilities you want the parents to take on and how much control you want to hand over to them. When love is great, much can be accomplished. way too much control over the artistic development and the money. The also had a huge say in hiring new teachers. necessarily looking at the quality of teaching. I left that program. great, but as the previous poster said, have a plan. you find that? What did you need to clarify? It is clear that parents will always out number teachers. parents. Some how he inspired them to do some wonderful things for themselves. very high but he was also willing to stick around and keep after them untill he got what he wanted them to see. development and grow with them from that place. working with them whether your personalities are compatible or not. philosophy they will be more likely to do things that work for the program. like to learn more creative things I can do to get parents working together. know you are all reading this stuff. know you have your opinions. activities and interest this fall. run well into the fall season so peole can use it as they return from summer breaks. Its hard to keep all of these guests straight. done it for these many years all by myself. course is that teachers feel a little underpaid and parents sometimes feel they are overpaying. within and between our studios and within our organizations? worth the effort when I see what I fine person my son is growing into.